During our year in Chicago, I really wanted to make an effort to explore the rest of the Midwest. Since Chris worked on the weekends, we had to settle for places we could visit in a day. I’m a huge fan of day trips. It’s so fun to have a mini adventure and still come home to your own bed. 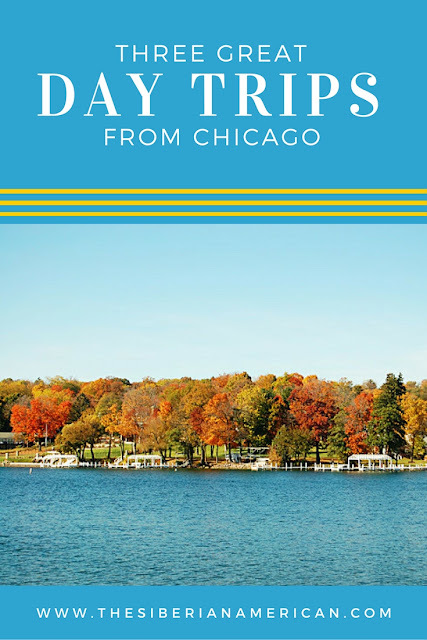 Though we went on more than three day trips while we were in Chicago, today I wanted to share my three favorite trips in case anyone wanted some day trip ideas. What to do: In the fall, hike and enjoy the fall color. Take a trolley tour to get an overview of the park. In the spring, hike to the waterfalls. Bonus: Stop by Two Girls and A Cupcake for a post-hiking treat! 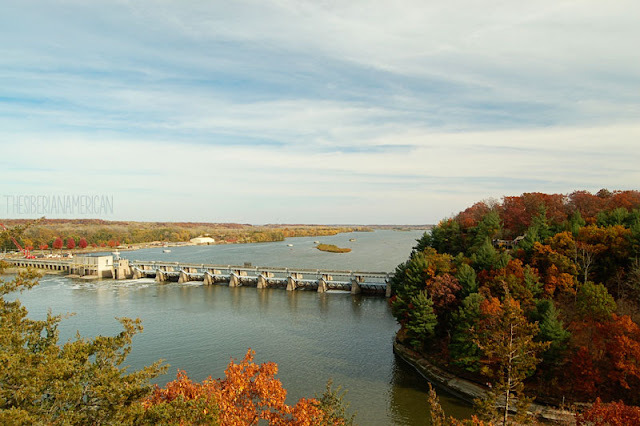 When I was researching day trips from Chicago with gorgeous fall color, Starved Rock State Park kept popping up. I could see why from the moment we got there. The colors were stunning, and the canyons were fun to hike. We had planned on a return trip in the spring to see the waterfalls but had to cancel when I got sick. It’s definitely on the list for the next time we’re in the Midwest. 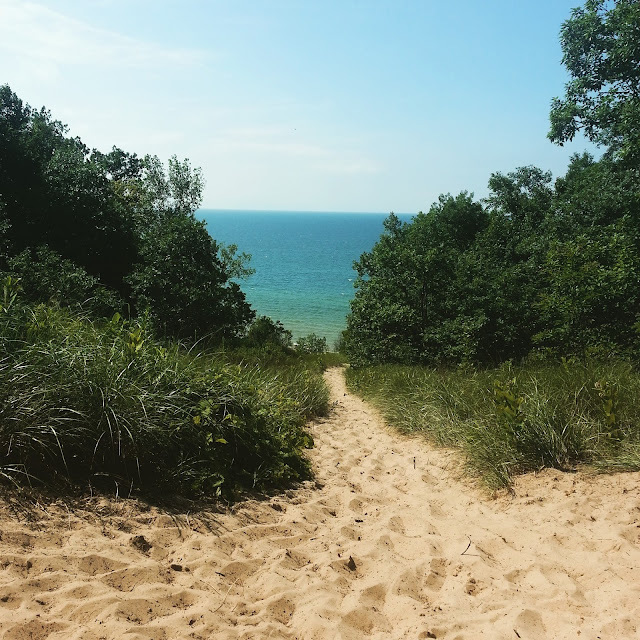 Bonus: If you don’t feel like hiking, there is a beautiful beach close to the Indiana Dunes. I never expected for climbing the Indiana Dunes would be so hard! Don’t worry, there are easy trails, but Chris accidentally picked the most strenuous trail for us. When you are wearing flip flops a little too big for you, the result is entertaining. Still, the hike was worth it for all the pretty views of Lake Michigan. What to do: Walk around the cute downtown area. Shop. Take a boat tour on Geneva Lake to see the mansions. Walk the trail for a closer look at the mansions. Visit Black Point Estate. Bonus: Have lunch or dinner at Oakfire for some delicious pizza and a nice view. 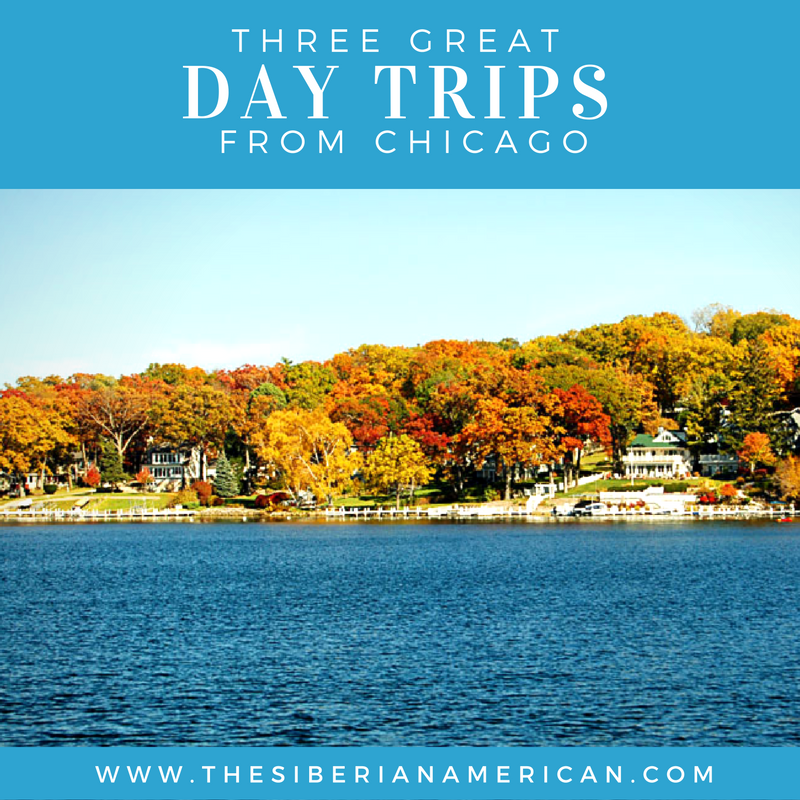 I loved all the day trips we did, but the one to Lake Geneva, Wisconsin, was my favorite. I loved walking around the downtown area, but the boat tour was the highlight of our day. I loved seeing all the mansions and hearing stories about the families who built them. The stunning foliage made it the perfect fall adventure. Are you a fan of day trips? Where have you visited? I love day trips! Thanks for sharing. I've heard great things about all these places! And your pictures just further prove your point! (All the fall colors are just dreamy...) We have friends that used to live in Lake Geneva and they LOVED the time they spent there! You are the best at planning trips!! I need a normal person schedule again so that I can make day trips happen. Those all look like really great options. I should start looking into day trips from DFW in the event that I ever get a weekend day off again lol. Any suggestions? Uhhh these all look so amazing! I'll have to keep these on my radar! What awesome locations for day trips! All you hear about is the big city there - what fun beautiful areas around there! 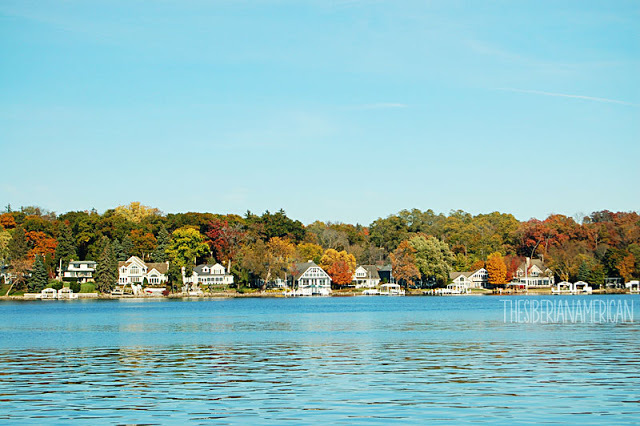 The boat tour of the mansions on the lake in Wisconsin surely sounds like a winner! I need to go to Starved Rock! I love how close the beautiful country is to such a big city like Chicago! Hopefully we'll make it back to Chicago sooner rather than later and have a little more time to explore outside of the city! Lake Geneva looks unbelievably gorgeous! I think day trips are a perfect way to maximize your time and travel adventures for someone with a busy schedule and you don't have to worry about the extra expense of a hotel etc. this is awesome! the first two look doable from here, too. um, wait. there is a beach near indiana? i am so confused about the land/sea thing in america haha (wow i know that makes me sound like an idiot, which is fair). i wonder if you can go sand tobogganing at the dunes? or is it not very steep? off to google i go! great post girl.